Here's what Black Panther needs to do to win an Oscar. As awards season continues, Disney is still hoping to make history with their awards campaign for Marvel’s box office king, and it's beginning to look more likely they'll succeed. The 2019 Golden Globe nominations were announced amid a flurry of anticipation, and although the majority of the nominees remained easy to predict, one Best Picture nomination stood out. 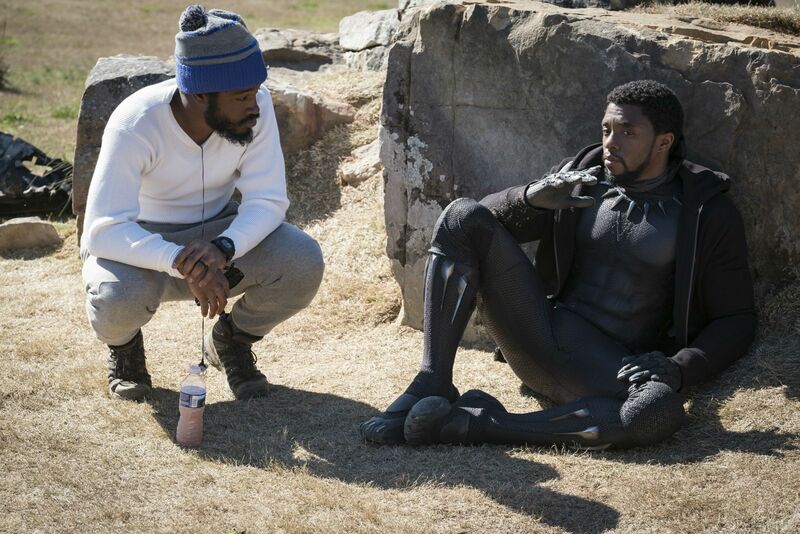 In a very busy year against favored awards players like A Star is Born and BlacKkKlansman, Black Panther managed to secure a Best Motion Picture – Drama nom (as well as nods for its score and the song "All the Stars" by Kendrick Lamar and SZA). Following big success with various critic bodies, this is the official mark of Black Panther as a serious Oscar contender. 2018 has proven to be a highly competitive year across the board, but even with dozens of candidates to battle for the slot, it’s very possible Marvel could make history. 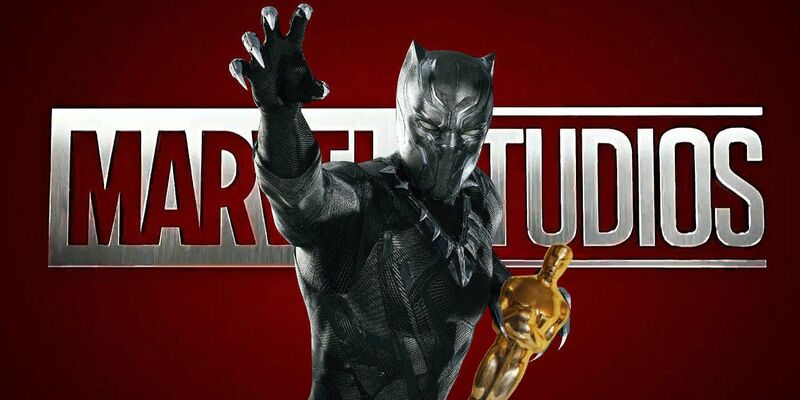 Here's where Black Panther's campaign for an Academy Award has got to, and what else needs to happen. When Black Panther was released in February, it became an instant record-breaker at the box office. The film is currently the second highest grossing of 2018 worldwide, with $1.34 billion in the bank, and the first to hold the number one spot at the box office for at least five weekends since Avatar in 2009. In the US, it became only the third movie ever to pass $700 million domestically and managed to earn more than fellow Marvel behemoth Avengers: Infinity War. These statistics would be impressive enough even if the film were a critical disappointment, but it received near rapturous reviews across the board, with a 95% Rotten Tomatoes rating. 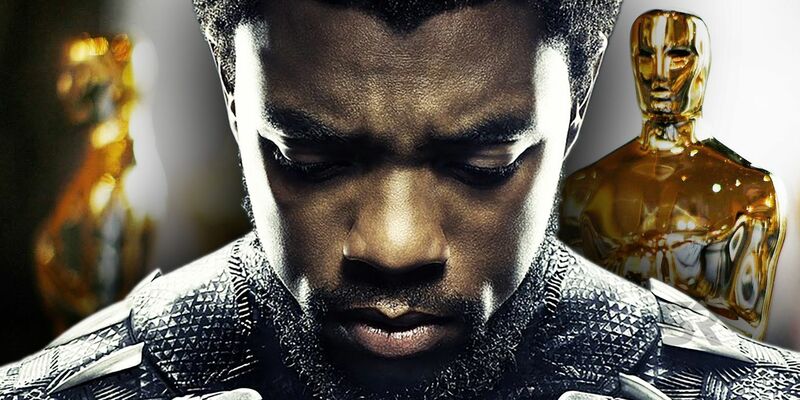 Add to that its ground-breaking cultural influence and its importance as a proudly black film on this scale and it's safe to say that Black Panther was one of the undisputed cultural events of 2018. Of course, superhero movies tend to get some sort of awards campaign. Just last year, Wonder Woman was subject to a much-discussed push from Warner Bros., although it did not receive any nominations. What a good awards campaign can do, even if your chances of winning remain slim, is draw attention to the film in question and keep it in the conversation. Just being a part of that narrative can help to shift perceptions on what counts as an awards-worthy movie. Typically, this is what is expected of those crowd-pleasing blockbusters that mount For Your Consideration campaigns, with the all-but-accepted outcome being it won’t garner any Oscar nominations beyond technical categories. But what Disney's doing with Black Panther on this front is unique. They are not doing the bare bones marketing; the Mouse House has committed to a full-scale campaign. Their awards screeners - the DVD copies sent to critics and Academy members - are glossy, highly professional and emphasize how the film is "revolutionary". That word is taken from the cover quote by Peter Travers of Rolling Stone that adorns the screener, and it is larger than the title of the film itself. There is no Marvel or Disney logo on the cover either; the company has been savvy enough to understand that the film's chances increase when its connection to the biggest franchise on the planet are downplayed. The cast and crew of Black Panther have also been highly visible throughout the many parties, events and industry shindigs that are key to appealing to Oscar voters. Star Chadwick Boseman was even included in this year’s Best Actor roundtable held by The Hollywood Reporter. Disney is doing everything in their power to make it near impossible to ignore Black Panther’s presence as a prestigious movie. And so far, it’s working. On top of those Golden Globe nominations, Black Panther was included in the National Board of Review's 10 films of 2018. The Washington D.C. Area Film Critics Association included it among its nominees, with focus on director Coogler and actor Michael B. Jordan. It’s not unheard of for superhero movies to garner such nominations – last year, Logan became a surprise Best Adapted Screenplay Oscar nominee – but never has a movie had the build-up of Black Panther. Here, a major studio is not only making a concerted effort to get their acclaimed blockbuster Oscar nominations but now, it’s looking more likely than ever, no longer a pipe dream. Black Panther’s chances of nominations are strong in an array of categories. As with most films like this, the big guarantees for nominations are in technical categories. The effects and sound work are stunning, the costumes (by Ruth E. Carter, an Oscar-nominated costume designer who has worked with Steven Spielberg and Spike Lee) are easily some of the most sumptuous of the year, and the array of original songs on the soundtrack could easily land a place in Best Original Song (the best shot seems to be for Kendrick Lamar and SZA). In terms of wins, Best Production Design and Best Costume Design are the strongest bets. But there's been rumblings of more than the standard superhero fare. Michael B. Jordan has had an incredible couple of years that have seen him rise into the A-List ranks thanks to work in films like Fruitvale Station and Creed. As well as playing the scene-stealing Killmonger in Black Panther, Jordan appeared in Creed 2 this year to high acclaim. His chance of a Best Supporting Actor nomination for Black Panther is not a guarantee – the category has tough competition from Richard E. Grant, Mahershala Ali and Sam Rockwell – but it’s not impossible either. A long-shot nomination would be for Ryan Coolger for Best Director. He would certainly be deserving and he’s been part of awards conversations before with his first two films, Fruitvale Station and Creed. 2018 has been an incredible year for black film-makers: Coogler, Boots Riley for Sorry to Bother You, Spike Lee for BlacKkKlansman, Steve McQueen for Widows, and Barry Jenkins for If Beale Street Could Talk. The narrative for Coolger is certainly there, and a good awards story is as much a part of Oscar campaigning as making a good film. However, he faces tight competition and this seems like one of the more unlikely nominations. Will Black Panther Get Nominated (& Win) Best Picture? The ultimate dream, of course, would be for Black Panther to land a Best Picture nomination. With a limit of ten nominees available for the category, even in a very busy year where competition is tough, this doesn’t feel out of the realm of possibility. The 2018 Oscar season has been a curious divide between classic awards-friendly movies made by the big studios – A Star is Born, Green Book – and indie darlings with critical clout – If Beale Street Could Talk, Hereditary, The Favourite – but in this context, Black Panther is a curious outlier. It has the money and public presence of an all-powerful studio blockbuster but as a superhero genre story, it’s still outside of the boundaries of what is usually considered awards worthy. It’s a big film but something voters usually consider “too big” to award. Yet the Oscars expanded the Best Picture category to ten nominees to accommodate such films following the outcry over the lack of love for The Dark Knight. The newly expanded field was supposed to create a more inclusive awards season, wherein the usual Oscar fare would sit alongside foreign language films, documentaries, blockbusters, animated movies and the sorts of stories that don’t usually get awards. However, that hasn’t really happened, as such films remain ghettoized to their respective categories and aren’t given the love of Best Picture. There are occasional exceptions but the tide has yet to fully turn. That’s why Black Panther, at this point in time, feeling like such a dead cert for a Best Picture nomination is so welcome. 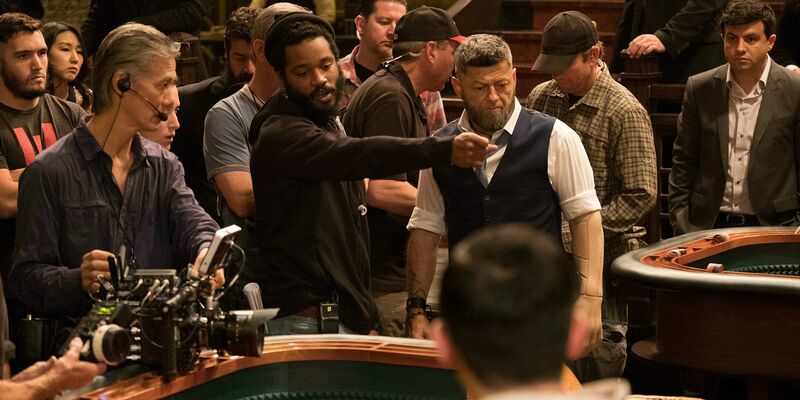 It’s unlikely Black Panther will ever win Best Picture, even as its chances at the nomination remain high. It has too many bumps in the road to overcome – industry snobbery towards blockbusters, a highly competitive year, other films that more tightly fit the “awards bait” mold – and Disney knows that. Getting to a nomination is ground-breaking enough; for everyone involved, that itself is the win. Even if something else wins Best Picture, and it probably will, Black Panther being in that list of ten and being talked about in such explicitly prestigious terms breaks a major ceiling for the genre. The 2019 Academy Award nominations will be announced on January 22. Voting opens on February 7 and closes a week later, with the show itself taking place on February 24th, much earlier than previous years. That leaves Disney with a solid month to push their Black Panther campaign as far as it will go. It’s not a lock yet. They’ll need to keep up their presence at major events, meet all the right people and ensure that voters do not forget the awards legitimacy of the movie, which is all too easy in a competitive year full of films that better fit our preconceptions of “awards movies.” Fortunately, they have the funds and structural support in place to make such a campaign a reality and one that can easily overshadow the work of indie distributors. But their biggest challenge will be overcoming a decade's old mindset of worthiness and what films get to be part of the Oscar world. No amount of marketing of hand-shaking can force voters to accept something they’ve dismissed for a long time. Fortunately, Black Panther came out at a time when the Academy is greatly diversifying its membership, making it not only more inclusive along lines of gender and race but also age. These voters are more likely to be accepting of a flashy blockbuster as Best Picture material. Whether or not they will remains to be seen, but Black Panther remains the genre’s best chance of making Oscar history.